My SO liked this more than I did, I think. It wasn't bad but a little dry and in need of some sauce/moisture to liven it up. I drizzled the shredded vegetables and salmon with a some ponzu sauce and sesame oil and liked it better. 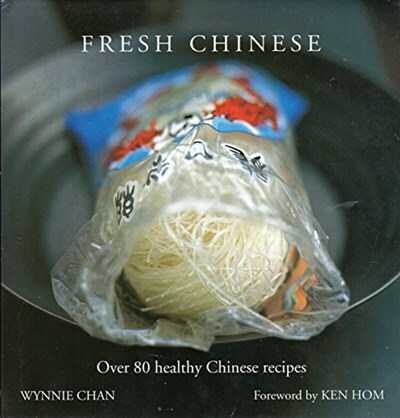 Drawing on the traditional Chinese diet of vegetables, grains and moderate amounts of meat and high-fat foods, the dishes in this book use authentic, fresh ingredients and aromatic spices instead of fat, salt and additives, so that you can enjoy the taste without the guilt. Choose from light refreshing dishes such as Steamed Pork Balls and Sesame Chicken with Cucumber, or why not try other low-fat options such as Sea-spice Aubergines or Chilli Kale? All of the recipes are easy to follow and quick to prepare, which makes them perfect for both after-work suppers and entertaining. With "Fresh Chinese" you and your family can enjoy a healthy, balanced diet - and all without compromising on taste. Calorie Counter: Complete Nutritional Facts for Every Diet! New Calorie Counter: Complete Nutritional Facts for Every Diet!